The most notable result from February was the strong performance of pure electric vehicles (BEVs). Although their market share remained marginal at 1.9%, their volume increased by a huge 92% to 20,000 registrations. BEVs continued to gain traction in markets like Norway, where they counted for 40% of overall registrations, and the Netherlands, where they counted for 7%. Demand also increased by 81% in Germany, which was the largest market for BEVs in February. 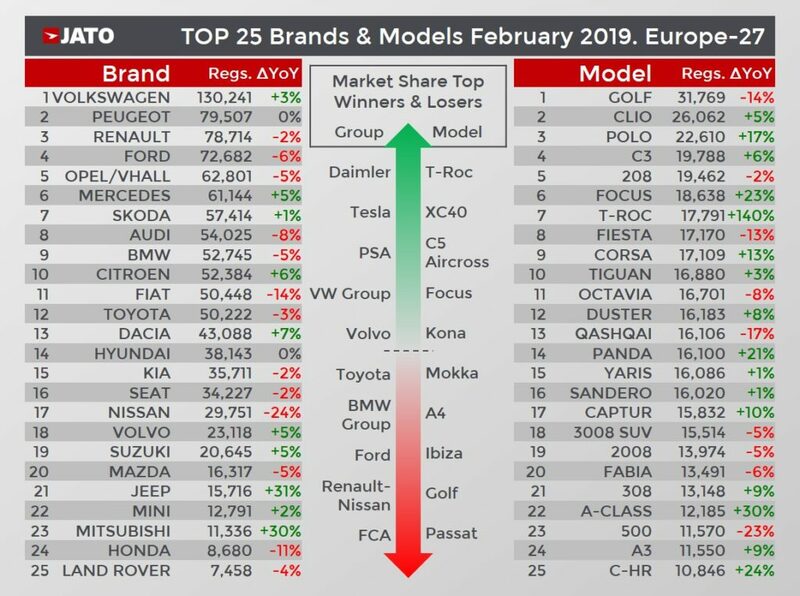 Volkswagen led the model rankings with the Golf, which saw a decline in its gasoline registrations (-18%), but an increase in its diesel registrations (+8%). Meanwhile, the Volkswagen T-Roc climbed the rankings to become the best-selling SUV in Europe, outselling the Tiguan and Qashqai. It was the best performing SUV in Austria, Luxembourg and the Netherlands, and the second best in Germany, Croatia, Denmark and Italy. 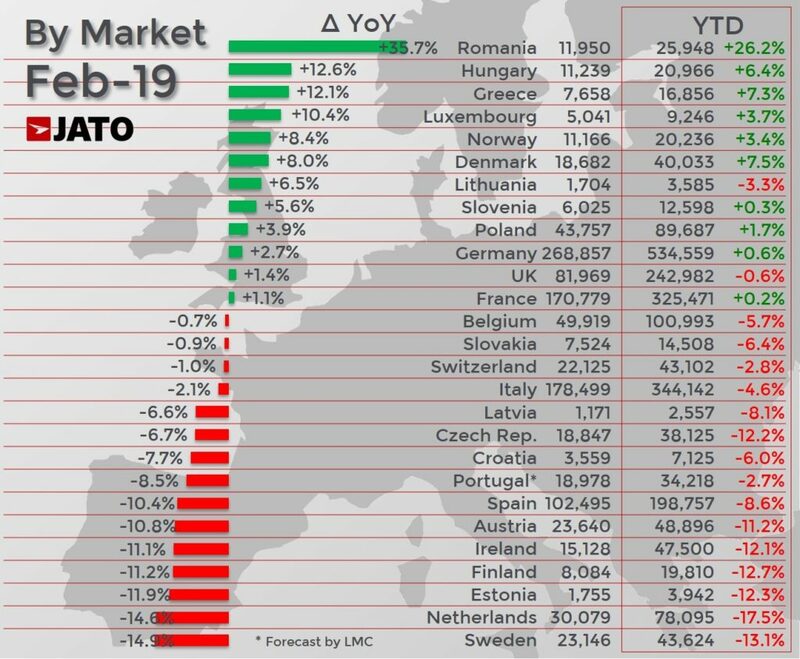 February was also a good month for the new generations of the Volkswagen Polo, which was Europe’s third best-selling car, and the Ford Focus, which was sixth. Elsewhere, the Opel Corsa hit the top 10 as its volume increased by 13%, despite its aging model.